Are you Bunny-addict? 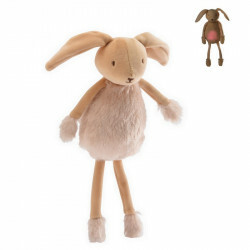 Pioupiou Bunnies are kids' heroes, interactive, light-up, soft and cuddly,.. Pick and choose your favorite! 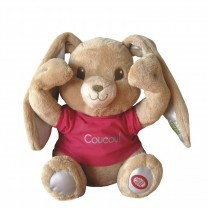 Valentin the Bunny is the sporty buddy among the soft toy collection Les doux Bidous. It can play peek-a-boo with your child, and can also play a lullaby. Collection Les doux Bidous. 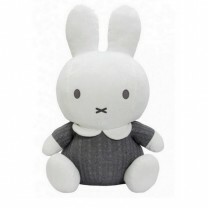 Here is Miffy, the famous little bunny, now as a wall decoration for your kid's room. 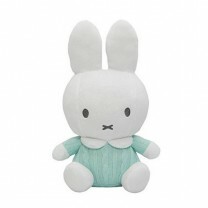 So soft and sweet, it will be a perfect baby gift.. Here comes Panpan, your favorite bunny from the cult movie Bambi, playing peek-a-boo with baby. 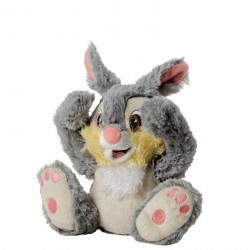 Just press the paw to start up the toy, and Thumper's arms move to play hide and seek. Listen, he talks with his real voice! 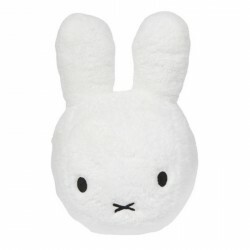 Miffy, the famous little bunny, in wall decoration, very soft it will be perfect to decorate kidsroom. 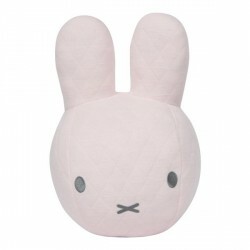 This cute bunny will play peek-a-boo with baby.Pioupiou's asset : 1 squeeze will lauch 30 second of guaranteed laughter ! 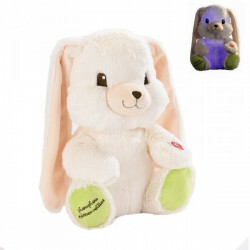 Here is the famous night-light bunny. 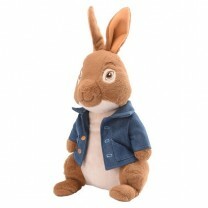 Still as soft and cuddlly as the interactive plush Gaston, still as comforting for bed time. 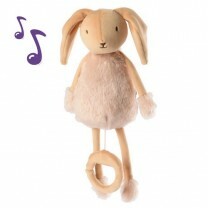 Valentin the bunny comes here as a light-up and musical soft toy. It lights up with the 7 colors of the rainbow and plays a lullaby. And for the first time, this stuffed toy is machine washable! 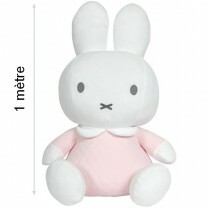 The plush Miffy pink quilted version XXL, this large plush 1 meter can only blend in with your child's bedroom decor. Pioupiou et Merveilles presents the new Peter Rabbit collection, hero of the adventures of the book written by the English author Beatrix Potter, and now rehabilitated in adventure comedy, Peter Rabbit, written and directed by Will Gluck.